A famous century-old mansion built in 1910, or the so-called House with Daisies, at Zlatoustivska Street in Kyiv was unlawfully withdrawn from the Statutory List of Buildings of Special Architectural or Historic Interest and then demolished within one day, according to a Kyiv City Council member. 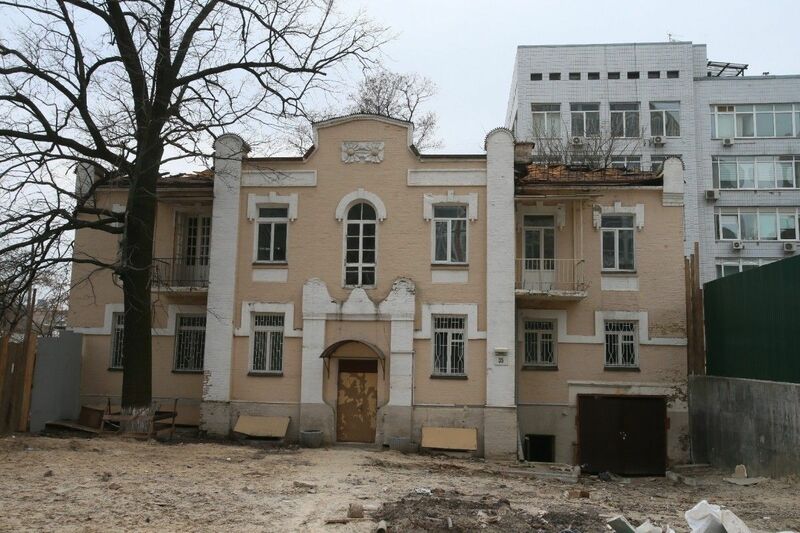 "A few hours prior to the demolition today, I learnt from a reliable source in Kyiv City Council that a famous ancient mansion built in 1910 was unlawfully excluded by Kyiv State Administration's culture department from the newly listed buildings (resolution No. 172 dated 21.09.16) and was about to be knocked down by Ukrbud Corporation," Kyiv City Council member Olena Yeskina wrote on Facebook on Thursday, October 6. "We expected something like that when the building was set on fire in February this year and then was called a dangerous facility, but the Office of Protection of Cultural Heritage assured us that would never happen," she added. Read alsoEurovision 2017: Kyiv decides on main venues"I was trying to figure it out at Kyiv City Council in the morning, and when I was writing my previous [Facebook] alert post, the house was there. But an hour later, when I got to the site, it had been demolished, and construction equipment was working on its ruins," she wrote. It was the second old building demolished on the same street since February 2014, when a three-storey building at 30 Zlatoustivska Street, where a printing house of a local Kyiv Bolshevik organization worked undercover in 1915. Read also"Kremlin! Stop kidnapping:" Rally outside Russia Embassy in Kyiv (Photos)Prior to that incident, a construction firm in January 2014 demolished a mansion at 111 Saksahanskoho Street in the center of Kyiv, where Mykhailo Hrushevsky, who was head of the Ukrainian Tsentralna Rada (Central Council) from March 27, 1917, to April 29, 1918, lived.